Canada is home to many attractions for groups interested in religious travel. From historic cathedrals and national shrines to convents and temples, a spiritual and educational journey awaits. Built between 1824 and 1843, Notre-Dame Basilica was the first Gothic Revival-style church built in Canada and is now visited by over 2,500 people a day during the height of tourist season. Groups can schedule a 90-minute Grand Tour of the basilica where they can see private areas such as the baptistery, sacristy and galleries. 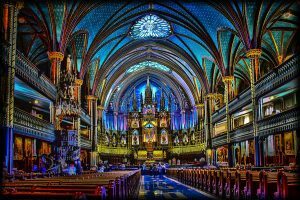 Groups visiting on Wednesdays, Thursdays or Fridays can also schedule a 60-minute tour with Pierre Grandmaison, the organist of Notre-Dame Basilica since 1973, and learn about his trade, his creative process, his daily routine and of course the 7,000-pipe organ. For a one-of-a-kind experience, watch the 35-minute “And Then There Was Light” sound and light show that highlights the basilica’s historical, cultural and architectural legacy. As the only national shrine located outside of Quebec, the Martyr’s Shrine in Midland, Ontario, honors eight Jesuit saints and the significant contributions they made to the introduction of Christianity to the Canadian aboriginal culture over 350 years ago. Tours and day passes are available for those visiting the shrine and its 75 acres. The Shrine Church, Martyr’s Hall, Gardens and lookout make up the grounds. There is a cafeteria for groups wishing to arrange lunch or dinner while visiting the shrine. A new welcome center with meeting rooms is under construction as well as an All Season Chapel where visitors can view the Relics of the Martyr’s during winter months. Lalande Hostel is available for groups wishing to spend the night. The Basilica of Saint John, overlooking the city of St. John’s, Newfoundland, was one of the few buildings that survived the Great Fire of 1892 in St. John’s. Inside the basilica visitors can view the seven altars, 14 Stations of the Cross, the galleries, fonts and numerous stained glass windows each representing a specific religious event or saint. Historic religious artifacts, art and pictures of bishops and archbishops of St. John’s can be seen in the Basilica Museum. 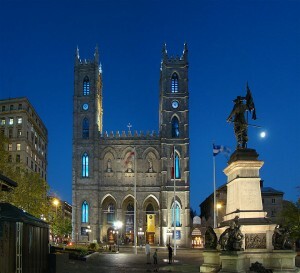 The Basilica of Saint John the Baptist was designated a National Historic Site of Canada in 1983. The Marguerite Bourgeoys Museum and Notre-Dame-de-Bon-Secours Chapel, the oldest church in Old Montreal, provide many options for groups. The museum transports visitors back in time through exhibits dedicated to the beginnings of Montreal, the construction of the chapel and the founding of the Congregation de Notre-Dame. “Reviving Bon-Secours” is a discovery tour of the archeological site of the original chapel destroyed by fire in 1754. Guided 90-minute tours offer a history of the life of Marguerite Bourgeoys—founder of the Congregation of Notre Dame in Montreal—and visits to the stone crypt and the tower. Express tours are also available and can be catered to meet any time limit groups might have. The International Buddhist Temple is regarded as the finest example of Chinese architecture in Canada and one of the most inspirational places in North America. The temple, located in Richmond, British Columbia, offers guided tours for groups interested in seeing the magnificent temple and learning about the Buddhist philosophy. From sculptures and paintings to architecture and horticulture, the International Buddhist Temple gives visitors the chance to step into an authentic atmosphere and leave with a better understanding of Chinese culture and Buddhist faith. The temple is open to everyone, regardless of age or religious views. The Ursuline Museum presents the history of the teaching order in Quebec province. 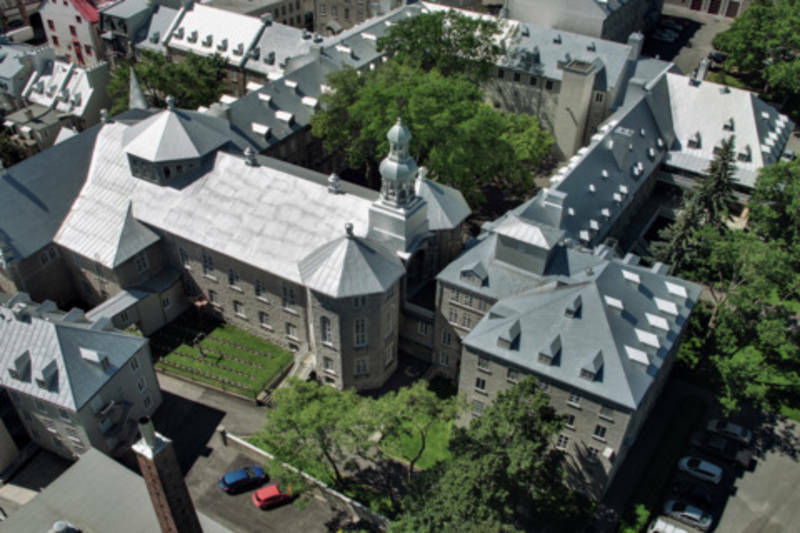 Located just outside the walls of the monastery, the museum offers a glimpse into the movement that began in Quebec in 1639. The Ursuline nuns were the first female teachers for girls in North America and through the guided tours offered at the museum groups can experience what life was like at the boarding school. Visitors can learn about the subjects young girls were taught and their daily schedules. The museum also has temporary exhibits highlighting Ursuline art and culture. Groups can also visit the Ursuline Chapel and see the wooden ensembles constructed in the early 1700s and later gilded by the Ursulines. The Ursuline Convent complex was designated a National Historic Site of Canada in 1972. 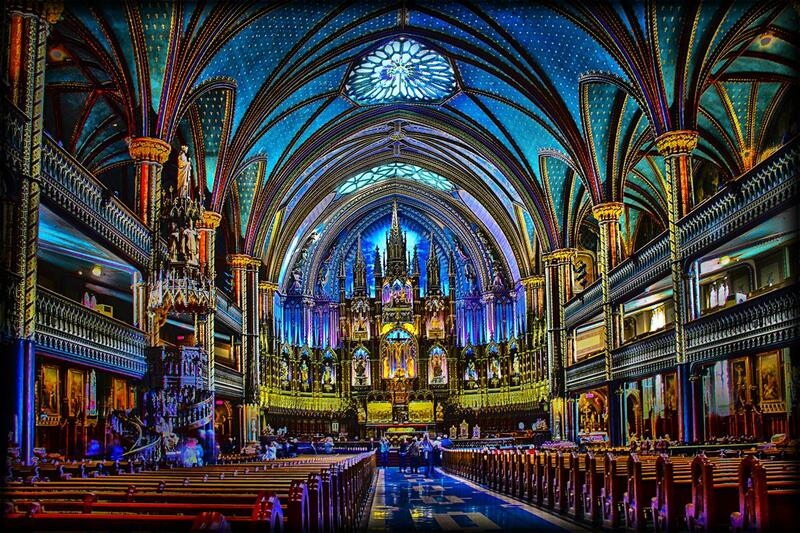 Dedicated to the grandmother of Jesus, the Shrine of Saint-Anne-de-Beaupre, located 20 minutes outside of Quebec City, has been a gathering place for people for over 350 years. Audio guides are available in four different languages to accommodate the large number of visitors each year—more than one million. The basilica houses numerous mosaics and sculptures, the Chapel of Saint Anne, 10 ambulatory chapels and over 240 stained-glass windows, each telling a specific story. Also found on the grounds are the Memorial Chapel, the Scala Santa and the Way of the Cross. At the Saint Anne Museum visitors can learn about the 350 years of devotion to Saint Anne, the history and influence of her life, and see the largest collection of ex-votos—votive offerings to a saint or a divinity—in North America. Founded in 1904, St. Joseph’s Oratory in Montreal is the largest shrine in the world dedicated to Saint Joseph. Several guided tours are available and cover the life and work of Brother Andre in developing the shrine. Another option is the “Music and Spirituality Tour,” which is a half-day program leading visitors through the appreciation of religious music and song. Prayer tours can also be designed using the “Pray with Brother Andre” or “Pilgrim for a Day” leaflets. The Museum of Saint Joseph’s Oratory of Mount Royal houses temporary and permanent exhibits of the historic, artistic and religious heritage of Quebec including an internationally recognized collection of nativity scenes. Canada’s National Shrine to the Virgin Mary was founded in 1888 along the banks of the St. Lawrence River in Trois-Rivieres. 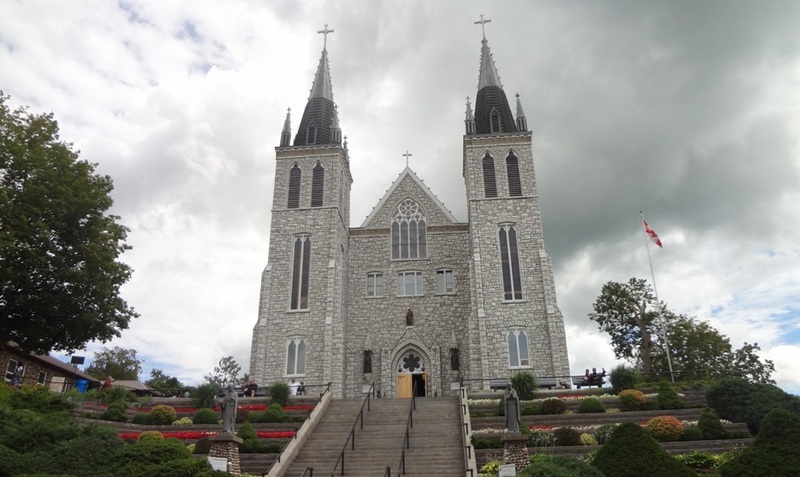 The Old Shrine is one of the oldest preserved churches in Canada and is home to the statue of Our Lady of the Cape responsible for the “Miracle of the Eyes”—when Blessed Father Frederic, Father Desilets and Mr. P. Lacroix witnessed the statue’s eyes open on June 22, 1888. Our Lady of the Cape Basilica was inaugurated in 1964 and houses a 5,425-pipe Casavant organ. The Commemorative Rosary Bridge was built in 1924 and serves as a reminder that the parishioners of St. Marie Madeline prayed the rosary for the river to freeze over in the winter of 1879 in order to carry over the stones to build the new church. 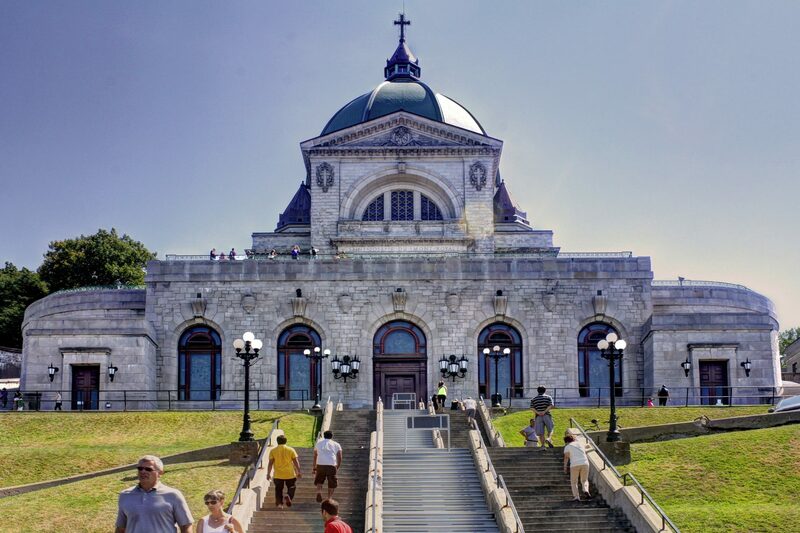 Guided tours of the basilica and shrine are available for groups. 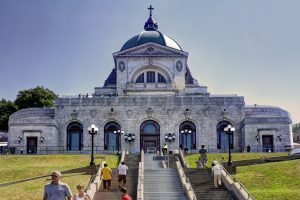 Located on the shores of Lake Ouiatchouan, this open-air basilica is operated by the Capuchin Fathers as a pilgrimage location for meeting, sharing, prayer, freedom and celebration. Families, couples and individuals are welcome to enjoy the tranquil, natural environment in order to rediscover each other as well as themselves. Visit the historical monument of San’Tonio Chapel, Mariale Chapel, Our Lady Agora, Calvary sculpture, Scala Santa, Stations of the Cross and the museum. Campgrounds and cottages are available as well as a 60-room hotel. A 270-guest dining room with group menus is also located on the grounds. The majority of attractions in Las Vegas, Nevada is located on a 4.2-mile road, Las Vegas Boulevard, better known as “The Strip.” However, religious tour groups can find attractions outside The Strip that reveal a different side of Vegas. What is the Best Way to Experience the Shrines of Quebec?